TORONTO, ONTARIO, April 3, 2019– Toronto Real Estate Board President Garry Bhaura announced that Greater Toronto Area REALTORS® reported 6,646 condominium apartment rental transactions through TREB’s MLS® System in the first quarter of 2019. This result was up by 7.7 per cent compared to Q1 2018. 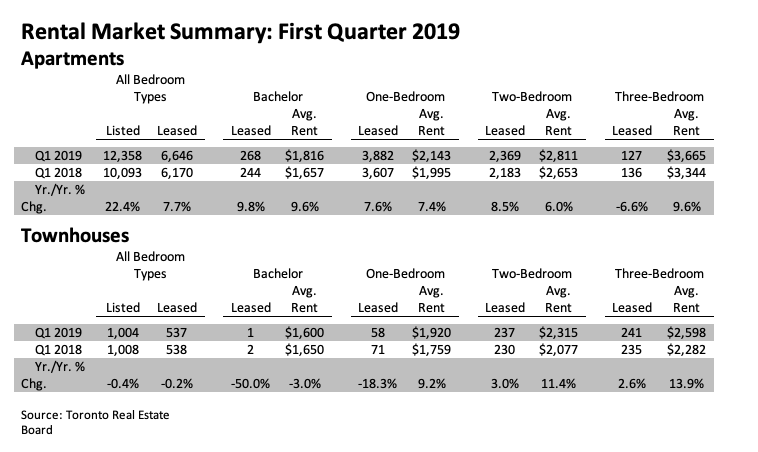 Rental transactions were up for bachelor, one-bedroom and two-bedroom apartments.